Greek police have conducted several operations to crack down the drug trafficking from Albania. At the Greek-Albanian border, in a forested area in Kostur, a 25-year-old Albanian was captured while transporting 4 packs containing 26 kg and 270 grams of marijuana. 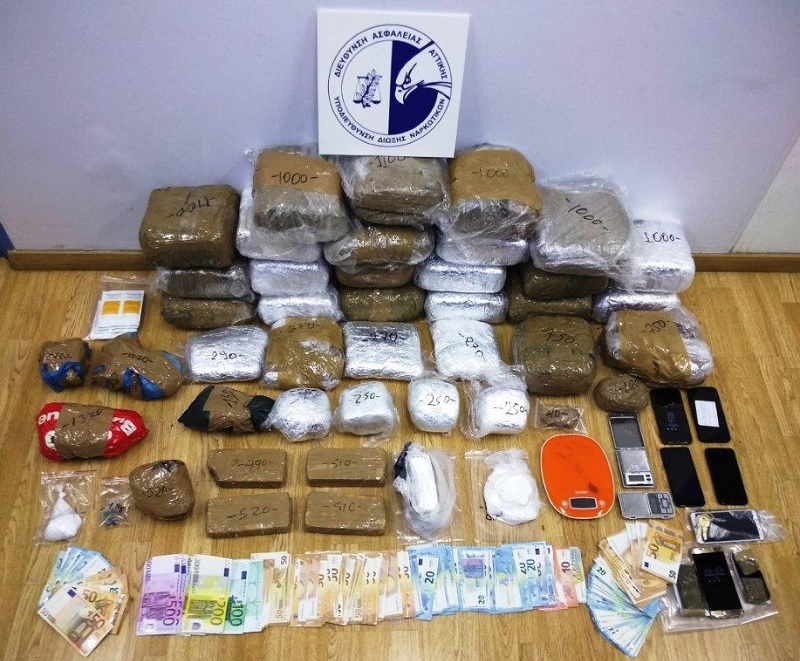 On the other hand three Albanians are arrested in Athens at Agio Pandaleimona area after being caught with 2 kg and 550 grams of heroin, 24 kg and 132 grams of marijuana, 510 grams of cocaine, 3 kg of drug mixture, 10 narcotic tablets, 10,400 euros, 3 scales, 8 cells and 2 vehicles.